NIDA IRP - Marisela Morales, Ph.D.
Post-doctoral training - University of Colorado, Boulder, CO (advisor: Dr. Eva Fifková). The Scripps Research Institute, La Jolla, CA (advisor: Dr. Floyd Bloom). Ph. D. - Biochemistry and Cell Biology. Universidad de Guanajuato, Institute of Experimental Biology (IIBE), Mexico. M.S. - Biochemistry and Cell Biology. Universidad de Guanajuato, Institute of Experimental Biology (IIBE), Mexico. B.S. - Biochemistry and Microbiology. Instituto Politecnico Nacional (IPN), School of Biological Sciences. Mexico. Accumulating evidence indicate that the ventral tegmental area (VTA) plays a role in goal-directed behavior and in reward processing to natural rewards and to several drugs of abuse. Therefore, we are investigating the neuronal properties and synaptic connectivity of the VTA to gain a better understanding of the interactions of the VTA with other brain structures in the processing and integration of information underlying behaviors associated with the neurobiology of drugs of addiction. Two populations of VTA neurons, dopaminergic neurons and GABAergic neurons, have been extensively characterized. Unexpectedly our work has recently shown that glutamatergic neurons are also present in the VTA. We are currently exploring the neuronal connectivity of VTA glutamatergic neurons and their participation in animal behavior. Clinical observations and results from animal models indicate that behaviors associated with intake of drugs of abuse are affected by stress. The neuronal pathways, neurons, and neurotransmitters that mediate interactions between stress and drugs of abuse are not well characterized. In this regard, work from our laboratory has provided evidence indicating synaptic connectivity between the reward and the stress systems at the level of the VTA. 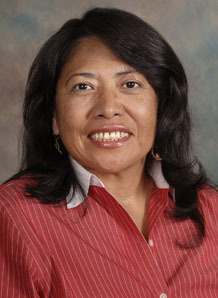 Home / Staff Members / Marisela Morales, Ph.D.